We are glad to inform you about the new versions of our management packs that support Microsoft System Center 2012 Operations Manager now! 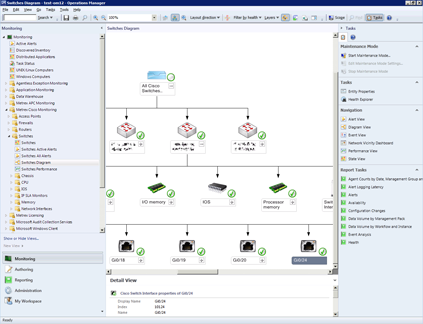 As OM12 has undergone some major changes in architecture, the MPs will be developing parallelly for both versions of Operations Manager. 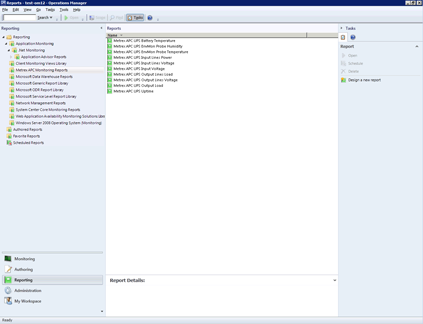 SCOM 2007 R2 versions are: 2.x (APC MP) and 1.x (Cisco and Generic UPS MPs); OM12 versions are: 3.x (APC MP) and 2.x (Cisco and Generic UPS MPs). Minor versions of builds are the same. 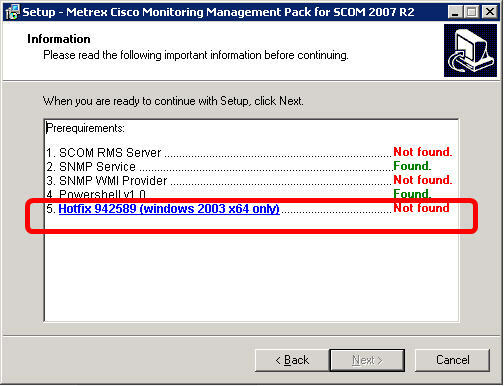 For example, 3.0.0.16 version of APC MP for OM12 is the same as 2.0.0.16 version of this MP for SCOM 2007 R2. The system requirements for our MPs were not changed (of course 2012 version of Operations Manager required) but you need OM management server with “RMS Emulator” role (this role is enabled by default). The first demonstration of new OM12 MPs will happen on September, 27 at Microsoft RUPTS “System Center Operations Manager 2012: What’s new?” webcast. Follow the link and join us! 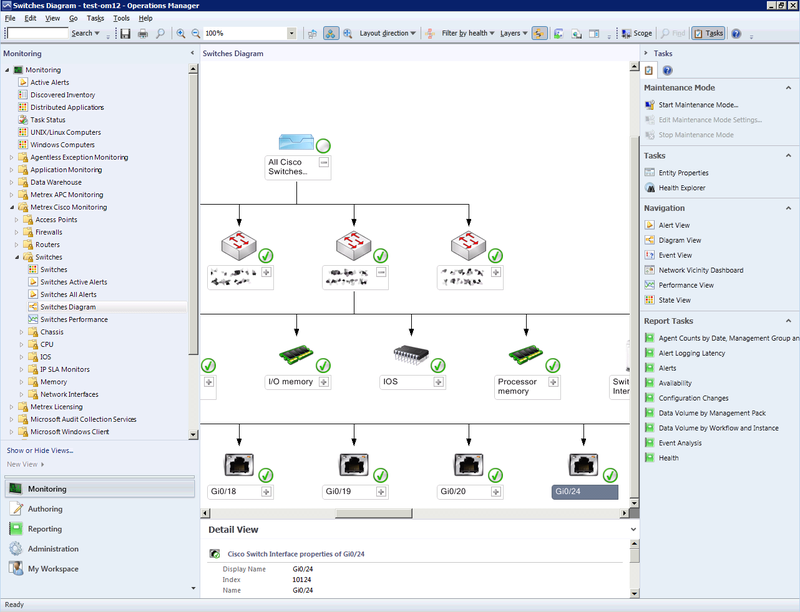 Metrex Engineering today announced permanent discounts for software components (management packs) of our Metrex Monitoring solution. Our management packs are successfully tested for compatibility with this CU so we can confirm that Metrex products also work with the latest version of SCOM 2007 R2. Last week we attended as guest star at Microsoft’s seminar in Moscow, dedicated to their new program of partnership, which start today. We inform those, who missed this quite interesting event that at this seminar Meterx Engineering announced its readiness to help Microsoft partners to raise sales of MS SCOM and the accompanying software, by using our SCOM-based solution Metrex Monitoring as “spearhead”. We are ready to give partners all the profits and bonuses from sales of Microsoft products’ licensees, having left ourselves licensing of our Management Packs, deployment services and support. Besides the fact that this kind of cooperation corresponds well to Microsoft’s partnership’s new policy, aimed to make partners more narrowly focused on their competences and foster more active cooperation in selling complex solutions, our offer opens a way to participate in large-scale projects for those companies, who outgrown a SMB segment. We also ready to support partners with our experience and competence in developing and deploying solutions based on Microsoft’s products in redundant configurations and on large IT systems. Our experience has shown, using of Metrex Monitoring significantly alters companies’ understanding of its own IT-infrastructure. In particular, improving and planning of corporate IT becomes more consistent. Flexibility and scalability of our solutions allows us to deploy them not only in large but also in medium-sized companies, and thereafter gradually expand the focus of system and grow with the client. We will help grow your business and your customers’ businesses, creating an effective tool for planning and managing corporate IT-infrastructure, and, if necessary, taking on the care of its maintenance and timely development. The Metrex APC Monitoring Management Pack extends the System Center Operations Manager 2007 to carry out both proactive and reactive monitoring for the following UPSs by American Power Conversion Corp. 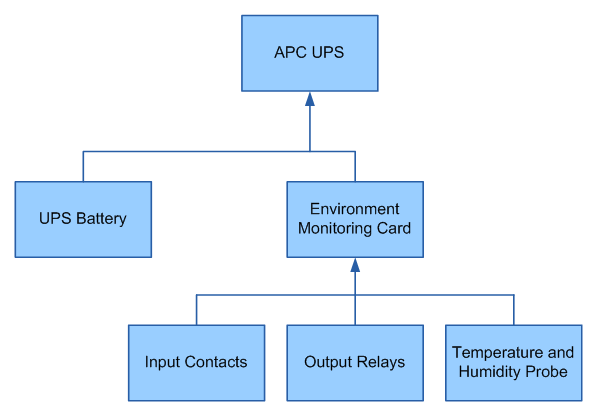 The management pack enables the monitoring of UPS’s components like battery, environmental monitoring card etc. and allows controlling UPS’s parameters such as input voltage, current frequency, output load, battery temperature etc. 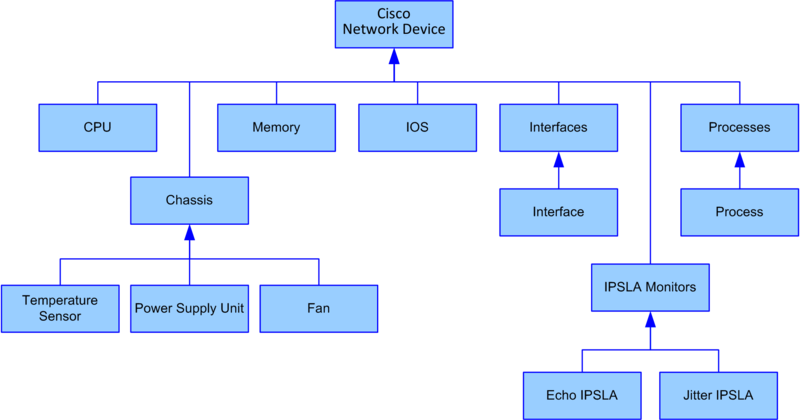 The management pack enables the monitoring of both hardware components such as RAM, CPUs, Power Supplies as well as logical components such as processes and IPSLA monitors. The prices for SCOM 2007 Management Packs from Metrex Engineering company. 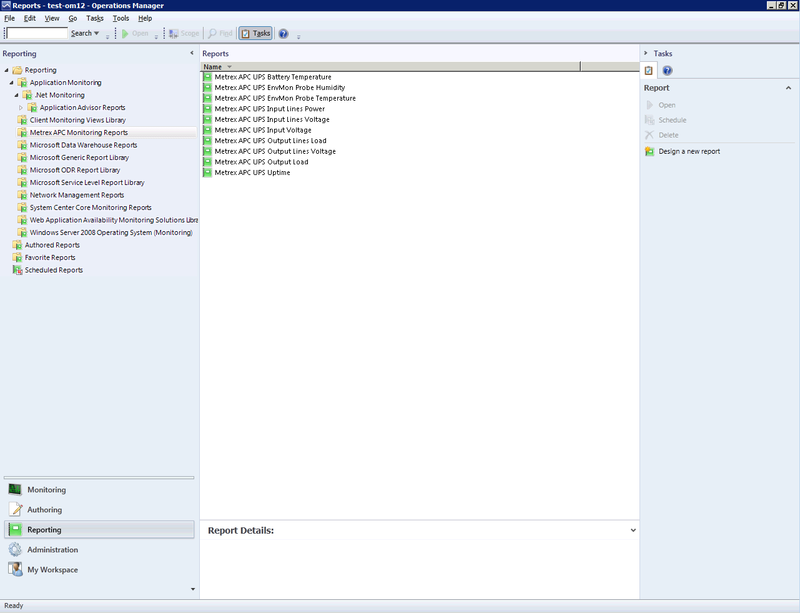 FAQ on management packs for SCOM 2007 by Metrex.